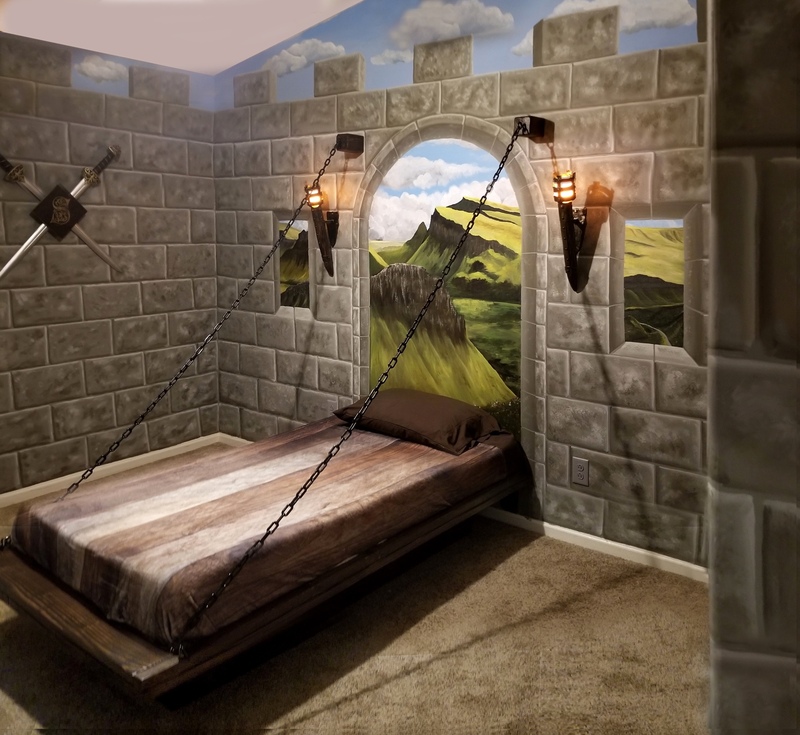 What an amazing DIY castle playroom-bedroom for some seriously lucky grandkids. Truly epic, from IMGURian jshepherddesign2000. Wow. I'm an adult and I seriously want this! Our DIY Medieval Castle playroom/kids bedroom for our grandkids.